I have today for you my must-have nail products, that I absolutely need to achieve a perfect manicure! I literally haven´t changed anything in my nail routine- since I am about 16 years old! Yes, I have tried different base or top coats- but I always have returned to my absolute faves, because they simply perform the very best. 1. A Sapphire File: I swear by my Wilkinson Sapphire File (Made in Germany)- nothing else will or can ever do! And this one will last you forever- at least 10 years! I am not lying. This file is amazeballs and it is high quality- not your cheap "Made in China product", you know? It has 2 sides: a rougher one and a fine one. But I admit: I only ever use the fine side! 2. 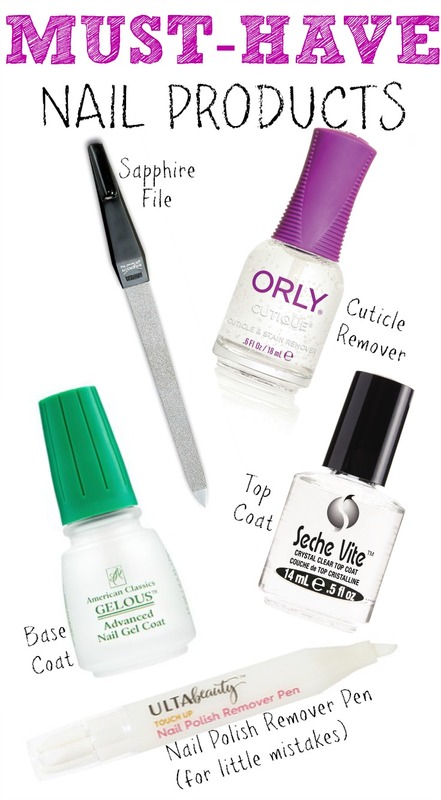 Orly Cuticle Remover: This will make your hard cuticles super soft and then easy to remove. Just let the cuticles (only the parts that you need to remove) soak with this for a maximum of 1 minute and then use a rubber cuticle pusher (I use this one) to gently push the excess skin away. Works like a miracle! 3. The Gelous Base Coat is the best base coat I have ever tried! This base coat is pretty thick (but still dries fast!) and will make your nail super strong. It is not just giving you the most shiny thick nails, but will keep your nails also safe from eventual yellowing. But wait- there is more: this is a not jut a base coat- it is a treatment (it contains keratin!) and will make your nails stronger over time. LOVE THIS STUFF! 4. The Seche Vite Top Coat helps to get 7 days of chip free nail fun! This also helps to speed up the drying process of your nail polish. 5. 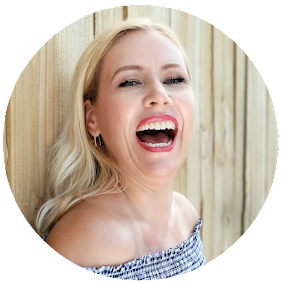 The Ulta Nail Polish Remover Pen for the little mistakes one can make when applying nail polish- this is a quick no-brainer in removing that stain quick and effortless. I never wait until the nail polish dried and immediately remove little mistakes, because wet nail polish is even easier to remove. 6. Not pictured- but I always have a cheap nail brush included in my nail routine as well. After I got rid of the nail polish with nail polish remover, I always scrub my nails (from outside and inside) with cold water and a nail brush. I think this is good to get rid of the excess of the nail polish remover and also to get that blood running under my nails and keep them healthy!